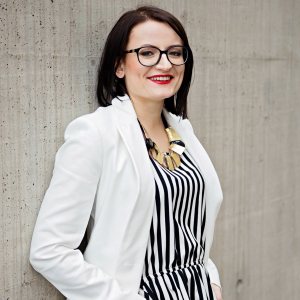 Karolina Mazetyte is a young Lithuanian social entrepreneur, management consultant, wellbeing trainer, and public speaker who wants to prove to the world that a young woman can do great things. Karolina is the co-founder and president of the International Youth to Youth Initiative, the organization that aims to inspire and empower youth worldwide through actions and project implementation on local, regional, and international levels. Karolina is also involved in volunteering for various initiatives that encourage youth toward growth and opportunities. She was the first European Peace Summit coordinator at World Peace Initiative Foundation. To have reached so high at such an early age was not an easy journey for her. Born and brought up in a not so rich family in Lithuania, with a father who was an alcoholic and a mother who was sick due to depression, Karolina always craved for love in her life. When her parents could not take care of her anymore, her grandparents decided to raise her up. Since then, she has always wanted to be the reason to spread love to everybody around her; she knew the value of it. She always dreamed of becoming a politician so that she could help others with what they needed. She pursued her bachelor’s degree in Political Science at Vytautas Magnus University, Lithuania. Her grandmother always taught her that education is the biggest asset of life that could never be stolen. Hence, Karolina continues to educate herself both formally and informally. She has obtained her master’s degree in International Relations from Corvinus University of Budapest, Hungary and her second master’s degree in Leadership for Sustainability from Malmö University, Sweden. Karolina now is residing in Sweden, where she is working as an Independent Management Consultant and wellbeing trainer at Motive Management. Besides that, she worked as an Impact & Community Coordinator at SingularityU Nordic in Copenhagen, Denmark. Throughout the years, Karolina has had rich experience in guiding youngsters and helping like-minded people connect. Following numerous personal and professional challenges, she has learned that life is all about letting go of the bad things and cherishing the good ones that happen in life. Sometimes there are days when I cry, all day and all night, and sometimes I laugh until the sunrise. What I always do is believe and trust in life, believing that after a dark night, comes a bright day.